The Etsy Game of the Month club is still going strong. 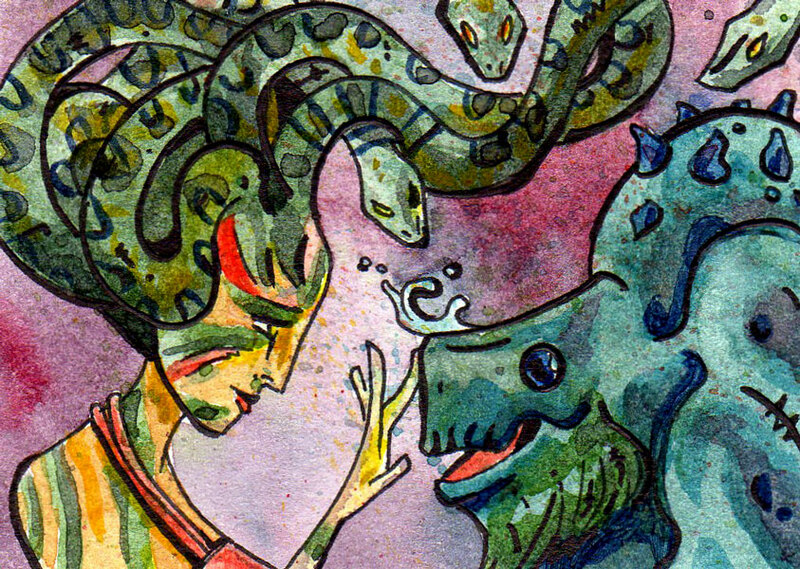 Below are my July and August ACEO entries. 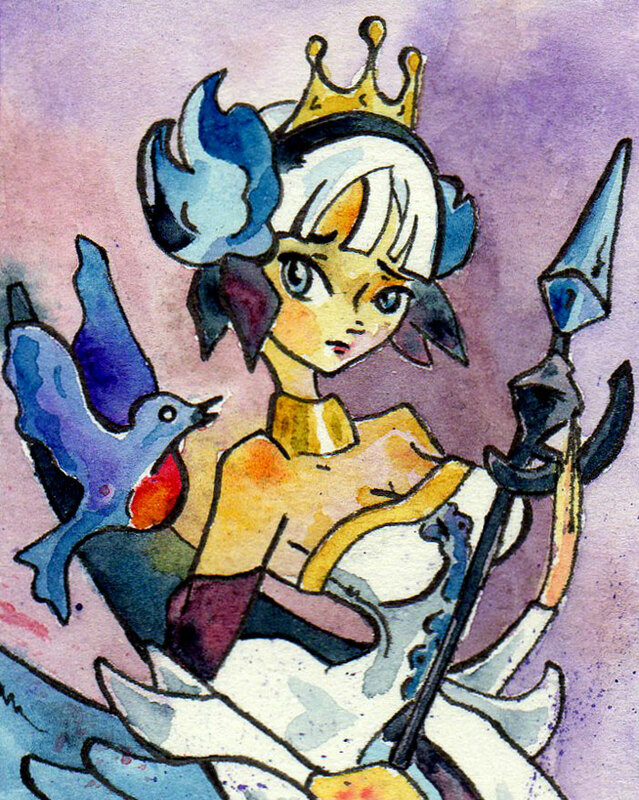 July’s game was Odin Sphere and it features the beautiful Gwendolyn. August’s game was The Legend of Zelda. 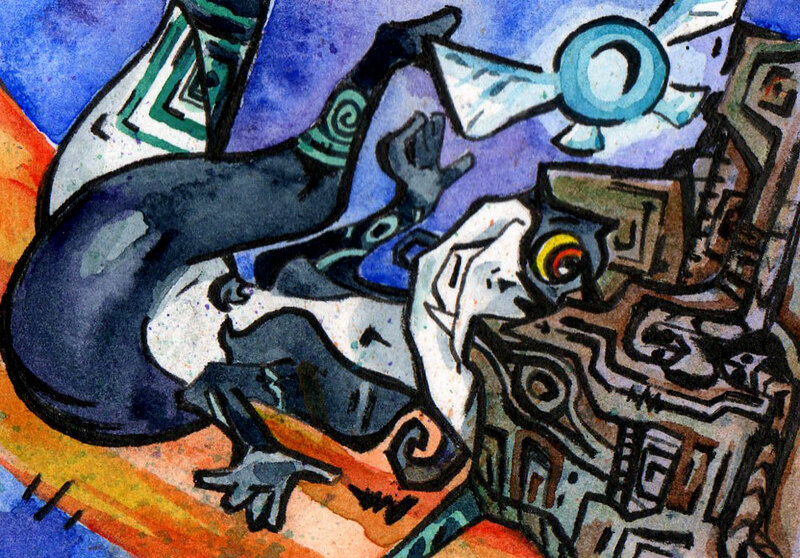 My Zelda painting features the playful Midna and Navi. That Voice. 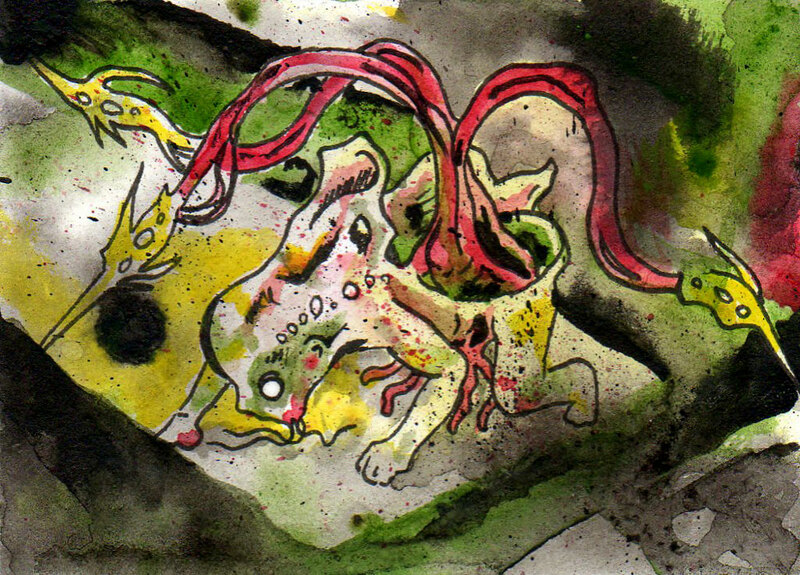 Ink, watercolor, and paper. 2.5″x3.5″ (6.4cmx8.9cm). LOL U Mad?. 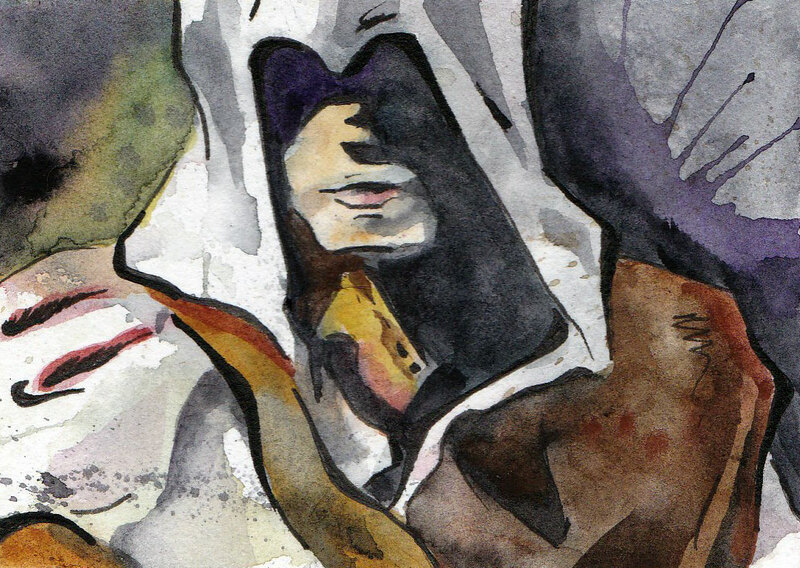 Ink, watercolor, and paper. 2.5″x3.5″ (6.4cmx8.9cm). 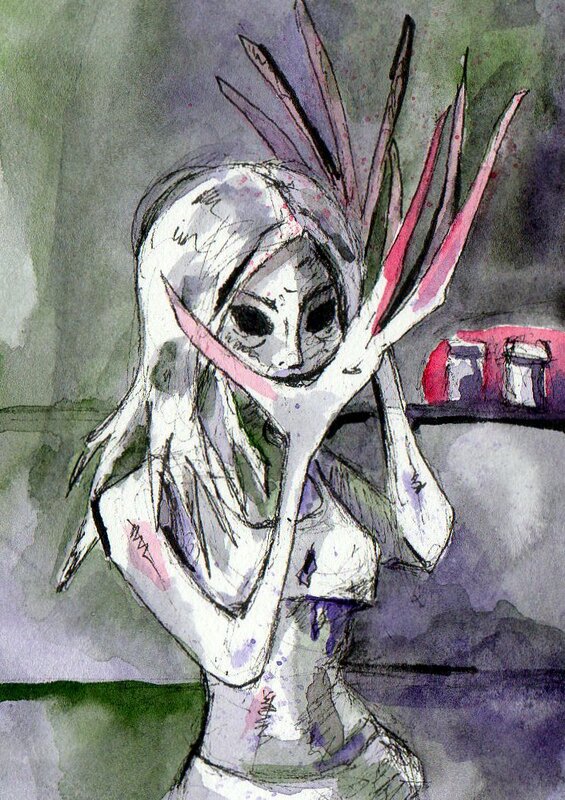 Here is a small ACEO I painted in about fifteen minutes. It is a small sketch of a tiny corner in Philadelphia. I’ve made a resolution to visit Philly once a week this summer. Expect more urban sketches. 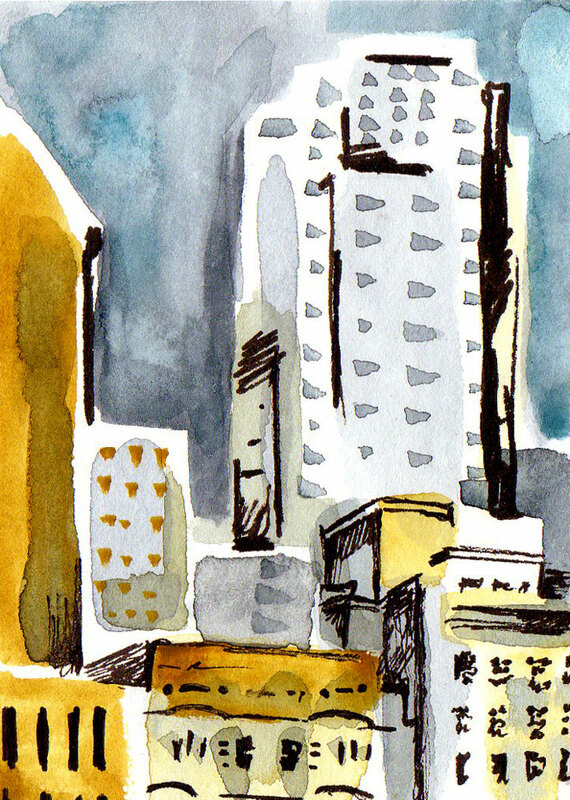 City Sketch. Ink and watercolor on matte board. 2.5″x3.5″ (6.4cmx8.9cm). The Etsy Gamers’ game of the month this May is Bioshock. They seem to be on a first person shooter kick, which is OK by me. 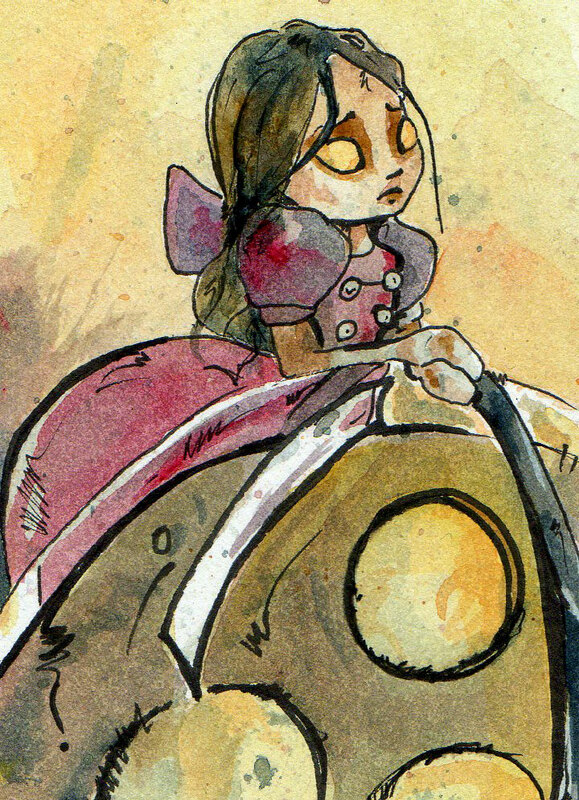 The following ACEO is of a Little Sister and Big Daddy. It is hard not to think of the under water city Rapture as a horrific steam punk version of Oz. I had fun playing with the art deco arches of the game. This Big Daddy’s name is Toto. Not in Kansas Anymore. 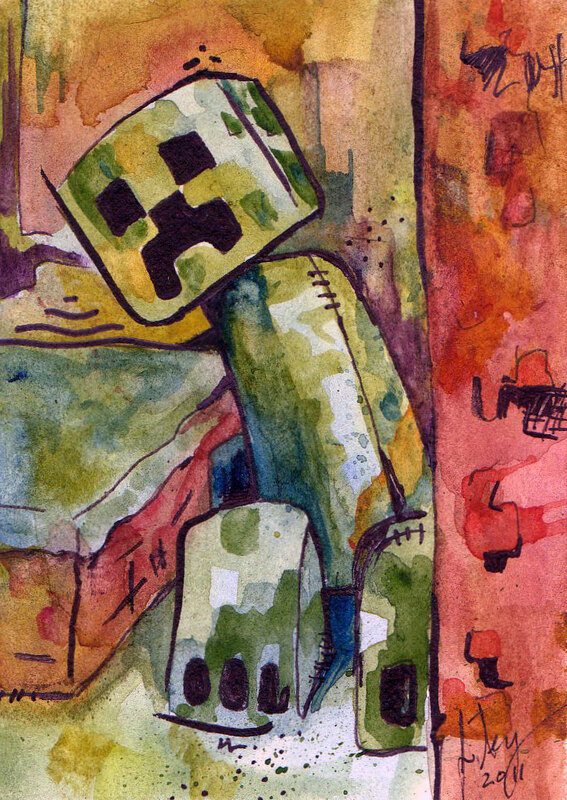 Ink, watercolor, and paper. 2.5″x3.5″ (6.4cmx8.9cm). 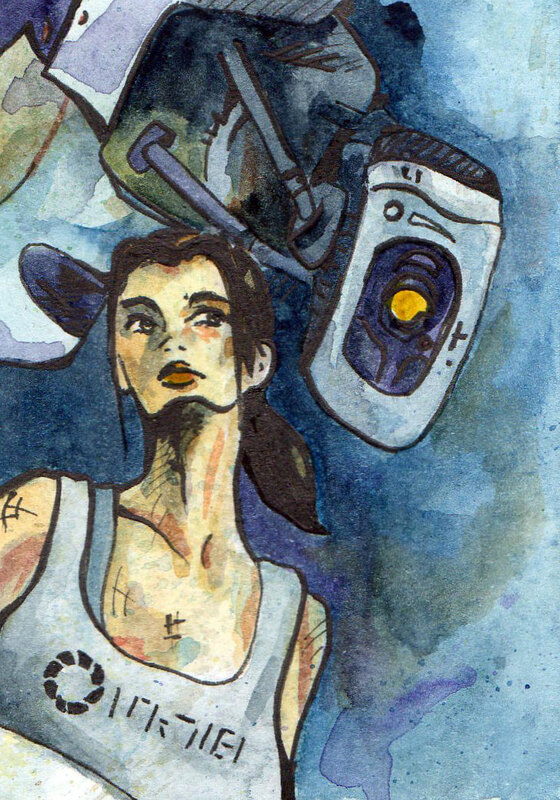 The Etsy Gamers’ game of the month this April is Dead Space. 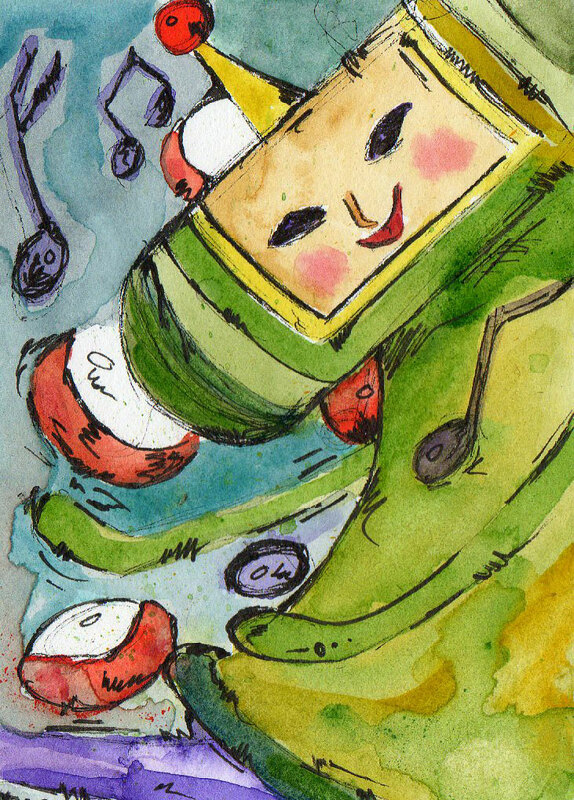 I painted the following ACEO as my entry to the contest. Lurking Lurker. Ink, watercolor, and paper. 2.5″x3.5″ (6.4cmx8.9cm).